After opening the initial Sam Diego’s in the central town of Hyannis on Cape Cod in the summer of 1982, our Plymouth restaurant opened it’s doors in July of 1995. 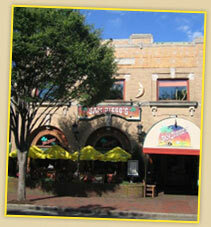 Independently owned, we are located directly on Main Street, only a “Block from the Rock”. After visiting Plymouth Rock and the Pilgrim’s historic Mayflower sailing ship on the waterfront, head up the hill to the interesting shops and century old homes of America’s Home Town. 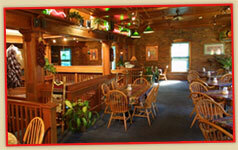 Sam’s is located in Plymouth’s beautiful historic Station One Firehouse. In season, we offer seating on our comfortable outdoor patio overlooking the activities on Main Street. 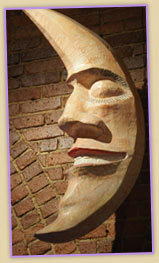 Inside, the original brick walls of the Fire Station are adorned with eclectic and whimsical Southwestern artwork and sculptures, much of which was created by talented local artists. The main floor area offers tri-level dining with a Bar and seating for cocktails. The massive, winding handmade Mahogany staircase leads to a second level Dining Room and another Bar & Lounge area which features a pair of Pool Tables to test your skills with your friends. Sam’s offers a full menu of award-winning Mexican & Tex Mex selections, Southwestern Specialties, finger-lickin’ Bar-be-Que and various Salads, SAMwiches & SAMburgers. 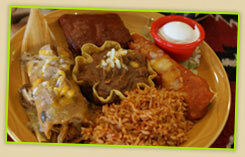 We also offer an extensive “Young Juan’s menu with coloring pages ‘n crayons. 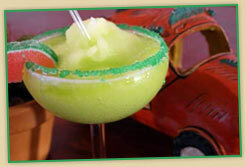 And, of course, the best frosty Margarita and frozen specialty drinks that you’ll find anywhere. 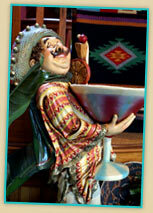 In Hyannis, our Sam Diego’s Mexican Cookery & Bar is located directly “West” of the Cape Cod Mall entranceway on Rt. 132. It has been a longstanding gathering spot for both neighborhood locals and out-of-town visitors alike. We features a large, tropically landscaped outdoor patio during the summer season, four separate dining areas for our customers to choose from, and, two bars & lounge areas for sippin’ margaritas ‘n such. We’re proud to have been a part of the lives of what now has been three generations of family customers. As they say, “Me Casa, Su Casa”.